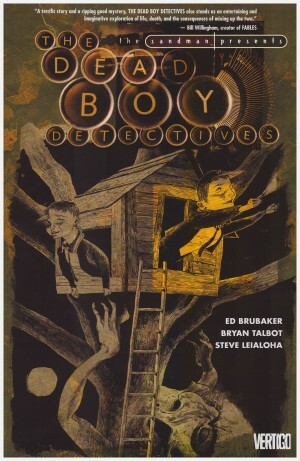 The three graphic novels presenting the first semester at Gotham’s elite private school were a combination of generally well presented mystery and adventure, endearing characters, and surprise appearances by people connected with Batman’s world. Is there any messing with a successful formula? 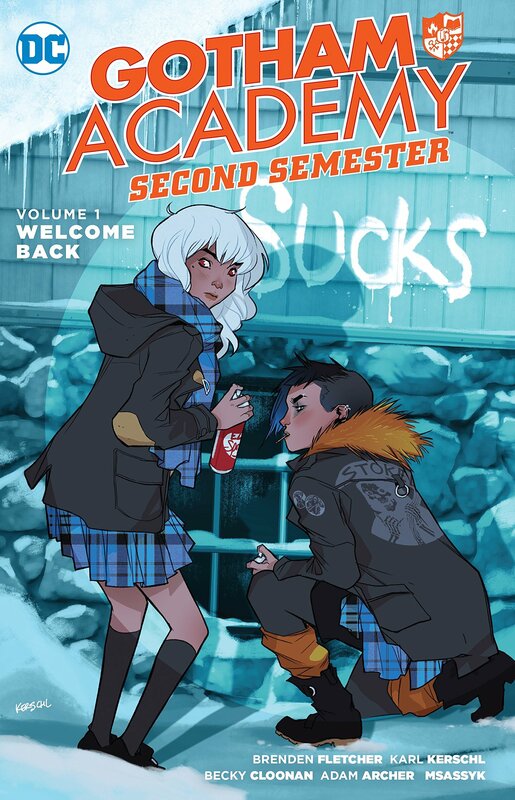 Well, that it’s the same writers, Becky Cloonan, Brenden Fletcher and Karl Kerschl is a good start, and Adam Archer continues as artist, his appealing cartooning and emotive personality depiction a feature of Yearbook. Also back is Msassyk, who creates the evocative painted backgrounds on which Archer’s figures are overlaid. 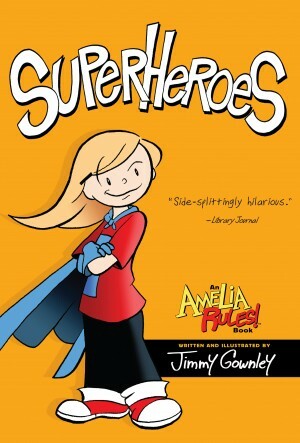 The regulars are spruced up by the addition of Amy, a genuine delinquent as opposed to the remainder of the cast, adventurous kids who bend the rules, Olive Silverlock having settled down from her introduction. Plots have a connection with previously introduced elements, and although it might not always seem that way, Olive is at the centre of everything, and much about Gotham Academy is connected with the events of centuries previously, and the oldest families to settle in Gotham. 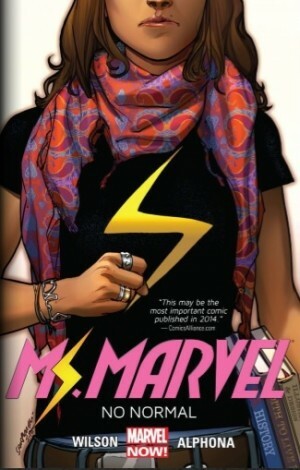 Although magic and the supernatural seem to abound, the actual magic involved is minimal, and often revealed to have a background in science, but the school setting, mix of characters and suspicion thrown on some school staff all generate a world intended to appeal to Harry Potter fans. 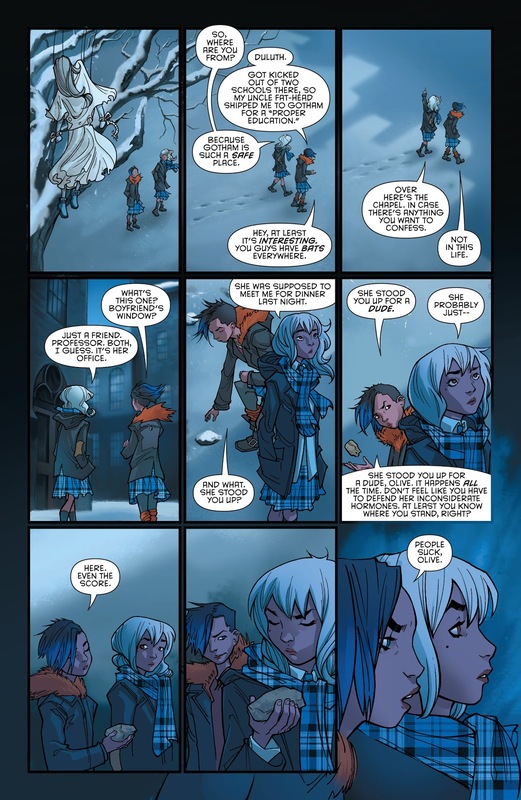 More so than previous Gotham Academy, it’s a mood that’s successfully cultivated throughout a story occupying the entire graphic novel, in which there’s some disagreement among the regular cast as to how to go about matters, and Olive continues have problems as we learn more about her. Batman appears briefly, but there’s a wonderful cameo for Bruce Wayne, wise and enlightening. Gotham Academy’s second semester is two volumes bringing the series to an end. A cliffhanger concludes Welcome Back, and the story finishes in The Ballad of Olive Silverlock.